Are you and your baby always on the go? Do you work from home and need a safe space for your child to sit for a few minutes while you take a call? If you spend a lot of time at the beach, cooking, or even at a friend’s house down the street — a pack n’ play might be a good option for you. 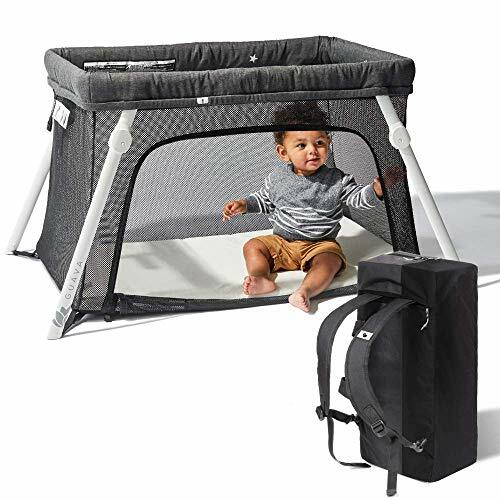 Pack n’ plays are portable playards that can often double as sleeping spaces, changing tables, or baby rockers. There are so many pack n’ plays on the market, it can be hard to know which one to choose. Our review will take a look at the available features and point you toward some of the best pack n’ plays available. Use the links above to check the latest prices or read our in-depth pack 'n play playard reviews below. What’s the Difference Between a Pack n’ Play and a Playpen? 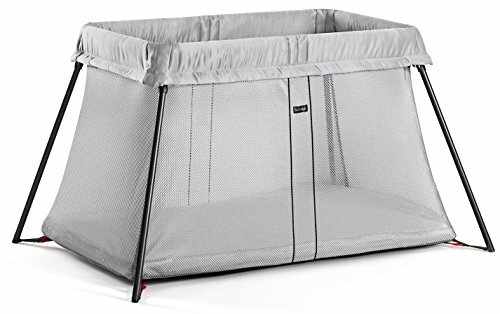 Do I Need a Pack n’ Play? As more and more research shows us the importance of playing, parents are finding ever new ways to create safe spaces for their children to play and learn (source). Both pack n’ plays and playpens fit the bill. Playpens are foldable fences that can create a confined space for your child to play in within the larger space of your home or yard. They don’t have a floor and are usually too large to travel with. Pack n’ plays are smaller and easier to carry around. Playpens are for play only: Pack n’ plays have mattresses that allow babies to nap or sleep in them. Playpens are much larger than pack n’ plays and cannot serve as a crib. Playpens can grow with your child: Most pack n’ plays have weight and height limits. Playpens can be expanded to give your child room to grow, even as they reach the toddler years. Playpens work best in large spaces: Pack n’ plays, however, work for both small and large spaces. For more information on the importance of play for children, check out this video. Pack n’ plays are one piece of baby gear I really couldn’t live without. Why? Because they just do so many things. When my first child was an infant, we spent a lot of weekends out and about. A pack n’ play was both a portable crib and a safe space to play when we couldn’t baby proof our surroundings. If you aren’t sure if you need one, consider a few of these scenarios. You often travel: Maybe your partner travels a lot for work. You might like to go see grandma and grandpa a lot. Pack n’ plays can help your relatives avoid the cost of a second crib, and keep you from depending on unpredictable hotel cribs. You have a crawler: Some babies can sense the exact moment you turn away to check the rice — and make a run for it. If you need a secure space to put your baby for a few minutes while you fold laundry or cook dinner, pack n’ plays are a lifesaver. With it, you and your child can still see and talk to each other, but they’re safely confined to their area. You’re on the go: If you’re lucky enough to live near some great parks or the beach, you may spend a lot of time there. If you want to go somewhere, but naptime is due, pack n’ plays can be a great napping spot for your little one when away from home. Naptime is not in their bedroom: For people that don’t have a lot of square footage, the baby’s room may double as a home office or an exercise room. If your baby wants to nap, and you need to get something done in the nursery, a pack n’ play can give you the freedom of choosing a different napping spot. There many variations of pack n’ plays that offer different features. Before purchasing, you may want to think about what you do most days and how you’ll use it, so you can choose the right model for your family. Some pack n’ plays come with a bassinet option. 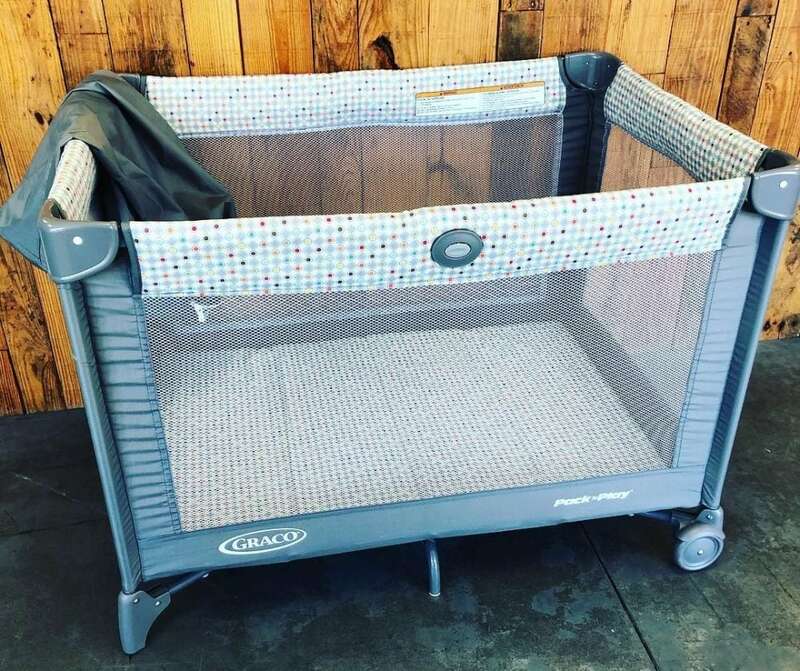 If you purchase one of these, the bassinet will lay on top of the pack n’ play, connected to the outer rails for stability. When your child isn’t using it, you can remove it for full access. This option is great for parents who want their newborn to sleep in their room for the first months, but don’t have space for a full crib. Some bassinets can also be used as rocker chairs during the day. Many parents know from experience that it isn’t always easy to change your baby in public. Most men’s bathrooms still don’t have changing tables, and most parks don’t have them at all. I have changed my baby in the trunk of my car many a time. Many pack n’ plays come with a changing pad attachment to give you a clean changing station anywhere you go. If the pack n’ play is set up in your living room, you can change the baby right there without having to bring them back to their room. You can also take the attachment with you even if you’re not using the pack n’ play itself. It wouldn’t be a pack n’ play if it didn’t have a playard. These products are meant to provide a confined, safe area of play for young children. There are different kinds of playards you may want to consider. Some rest on the ground, which allows for higher maximum weight and height limits. Others rest on supports, above the ground, which may be more comfortable but will mean that your child may outgrow it sooner. If you’re planning to use the pack n’ play for travel or outings, the carrying case will be pretty important. Pack n’ plays can be heavy, and the type of carrying case can make it easier or more difficult to tote around. When shopping, try to set it up and take it down in the store. You’ll see how easy or difficult it is to fit in the case. Some can be more like backpacks, while others fold flat, which is easier for traveling by car or public transport. If you’ve decided that a pack n’ play is the right solution for you, keep on reading to see our reviews. There are a ton of great options available right now. Thinking about your priorities, wants, and needs before you buy will help you find the perfect fit. This playard comes with almost everything an infant needs — saving you the time and cost of buying multiple products. 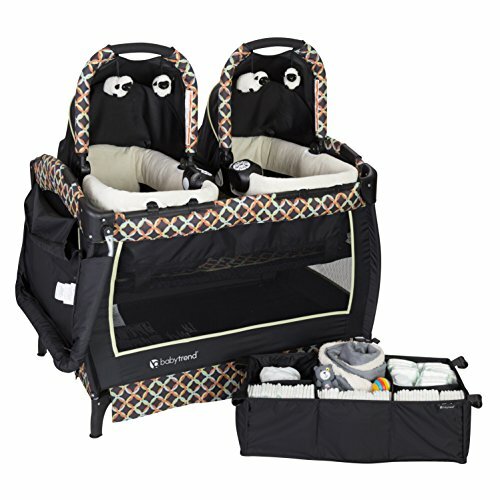 In addition to a playard, it has a changing pad, bouncer seat, and a built-in storage organizer. The product comes in two color options to better fit your decor. Infants up to 18 pounds can sit in the removable infant seat. The chair comes with a vibration setting to soothe fussy babies or those who may have stomach problems. The removable changing pad is wipeable for easy cleaning and has a “look light” for less disruptive midnight changes. For newborns, the mattress can be kept higher to serve as a bassinet. As your child grows, or if you want to use it as a playard, the mattress can be lowered. On the side of the pack n’ play, there’s a built-in organizer to hold wipes, diapers, or toys. Comes with a music and sound station to play soothing tunes for your baby. Push-button fold system for easy setup and take down. Weighing nearly 35 pounds, it’s on the heavier side. A lot of parents use a pack n’ play as baby’s first crib. They’re smaller than traditional cribs, which means they can more easily fit in their parents’ room, next to their bed. When you have twins, however, sharing a room can be more difficult. This nursing center allows you to keep one crib in the room, while still sleeping two babies in their own bassinets. The bassinets have canopies, which can reduce the potential for noise and light interruptions. They’re also easily removable for use as stand-alone rockers. During the day, you can remove the bassinets and insert a changing table and diaper holder. The changing table hangs off the side when not being used, allowing the baby to have an open playard. The playard will accommodate children up to 30 pounds, while the bassinet can hold babies up to 15 pounds. Includes most pack n’ play features on the market. Has electronic music, sound, and vibration console. Has wheels for easy portability. It might be too heavy for some to carry, at 41 pounds. A lot of things get easier as your baby gets older. They start to sleep through the night and can communicate with you more easily. One thing becomes more difficult though — controlling their movement. This pack n’ play is both a playard and a travel crib. When used as a playard, you can keep all the mesh siding closed to confine your child when you need time to focus on something else. However, you can also unzip one side if you want to let them have a bit more space. When used for sleeping, the mattress lays on the ground. This means older kids up to three years old can still safely sleep on it during naptime or through the night. Weighing only 11 pounds, this pack n’ play is super lightweight and easy to carry. Comes with a backpack carrying case to let both arms free. Greenguard Gold certified to ensure the product has fewer chemical emissions. Comes with a soft foam mattress, approved for both infants and toddlers. Has no extra features, such as a changing pad or bassinet. Anyone who travels often, probably agrees that hotel cribs leave a lot to be desired. The mattresses might be dated and lumpy, and the structure can squeak with every move your baby makes. If you travel a lot for fun, or to visit relatives, it’s probably a good idea to buy a pack n’ play. This one is easy to travel with and takes minimal time to set up. When folded, it fits into a flat case, which is easy to stick in the trunk of any car. The mesh material slides easily off the poles and is machine washable. The pack n’ play has no removable parts, so it doesn’t pose a choking risk for curious babies. The mattress sits on the ground, so your baby can safely sleep in it until three years old. Weighs only 13 pounds in its carrying case. Doesn’t come with accessories, like a bassinet or changing pad. This pack n’ play covers all the bases: sleep, play, and diaper changes. It can accommodate homes with less square footage while also being appropriate for children as they grow. The product also comes with a couple of features beyond the playard. 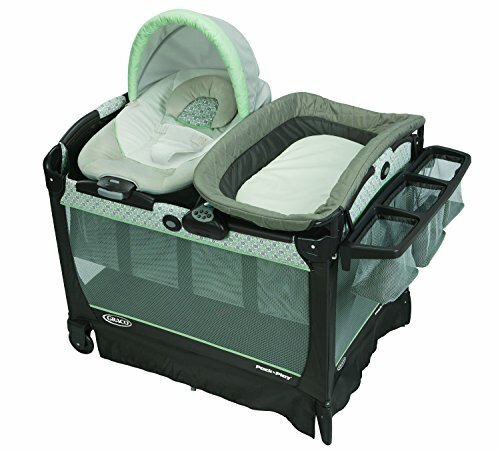 The bassinet can be used inside the pack n’ play itself or it can be attached to a stand, which is included. This is a great feature for parents with smaller bedrooms. The sleeper also includes three different reclining positions, to turn it into a rocker chair. The changing table is easily removable. It can also be cleaned with wipes or a little soap and warm water. On the side of the changing table is a built-in organizer, to hold diapers, creams, or wipes. 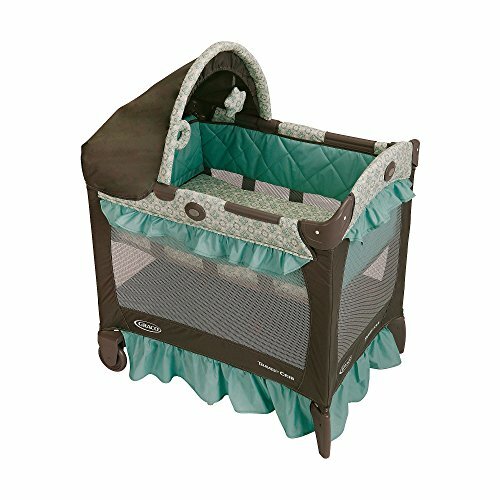 The playard comes in several colors and contains a music and sound center for stimulation. It also has wheels, which makes it easy to move around the house. Multiple baby products in one. Push-button fold system for easy setup. Click on accessories for each removal. At 45 pounds, it isn’t easy to transport. More and more people are moving back to urban centers. Living in a city offers many benefits, but square footage is not one of them. If you’re tight on space, there are still pack n’ plays that can work for your apartment or condo. This travel crib is 20 percent smaller than typical playards — allowing it to fit almost anywhere. Weighing only 19 pounds, it’s also lightweight and easy to carry. When in sleep mode, the mattress has three height levels and can be adjusted as your baby grows. When the mattress is at ground level, it can safely hold a baby up to 35 inches tall. The crib also comes with a removable canopy, allowing you to block out any sun while outside, or light when inside. The canopy includes two soft toys to keep your baby entertained while laying down. Comes with a firm mattress, approved for newborns and infants. Push-button fold system to allow for easier packing. Doesn’t come with added features, like a changing pad. 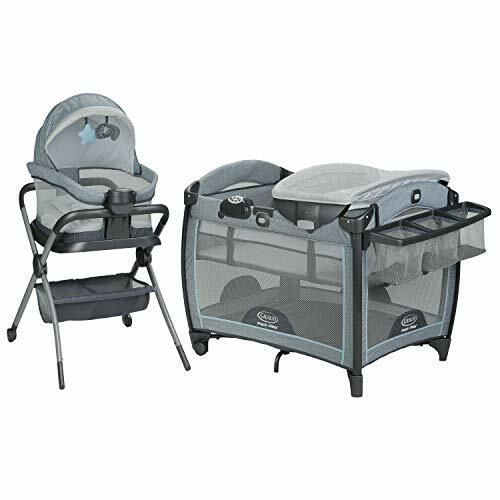 If you only need a safe space for your child to play while you cook dinner or visit with a friend, this pack n’ play is a great option. It comes in two different colors and includes a carry case for travel. At nearly 15 pounds, it’s lightweight and not too hard on the back. Setup doesn’t require any tools, you simply lock the rails into place and push the floor down. To fold it down, you pull up on the rails and pull the floor handle to collapse the playard. It also comes with wheels to make it easy to move from room to room. The mesh siding allows for a full view of your child, so you can still keep an eye on them. It also allows your child to see the world around them from a safe space. The fabric is easy to wipe clean. Holds a child up to 30 pounds. Only has one mattress level. Some reviewers felt the mattress included was a little too firm. 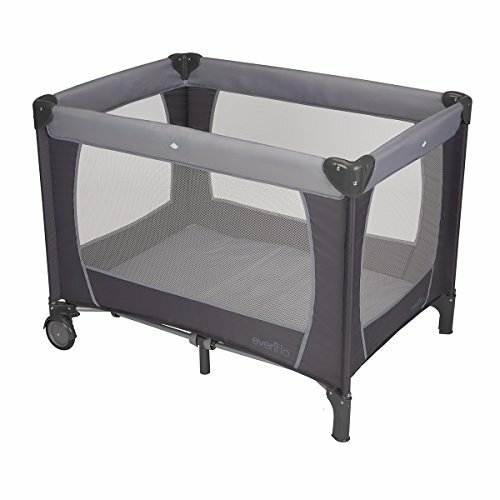 A pack n’ play is a great addition to your collection of baby products. It can help your wallet by addressing multiple needs and also make traveling with baby a lot easier. My favorite is the Graco Playard Snuggle Suite. With a rocker, a changing pad, and a playard, it contains so much of what you need in baby’s first years. In addition, the built-in organizer allows you to keep a second stash of diapers when needed. If you have a favorite pack n’ play, share your recommendation in the comments section. Were there features you thought you needed, but ended up not using? We’d love to hear your advice below.